Having a dive computer will free you from having to worry about calculations of your nitrogen levels using complicated dive tables. Being able to monitor all the information you need on your wrist will give you the confidence to stop worrying and just enjoy the dive, and isn’t that what it’s all about? The big problem with trying to choose the best diving computer for you is there are so many of them, with all kinds of features. To help make your decision easier, we evaluated several of the top brands and models and give you our recommended picks. For more of my top gear recommendations, have a look through these popular Outside Pursuits guide links: Diving Masks, Diving Fins and Dive Lights. Here is a feature overview of my top 3 overall picks. Our guide and comparison table of the top rated dive computers will help you choose the right one for you. The Giotto dive watch/computer is Cressi’s latest offering in a long line of excellent quality dive watches. Cressi is one of the leading manufactures of diving equipment and has been around since the 40’s so they know something about diving equipment. The Giotto is fully compatible with Nitrox and the 3-button interface of this dive watch computer makes the functioning intuitive and effortless with three operating modes which are air, nitrox and gauge. Video: Overview of the Cressi Wrist Dive Computer. The Giotto’s wrist dive computer is one of the best diving computers on the market for a lot of reasons including its High Def screen offering excellent readability with the display of larger digits. Not only that, but the screen also displays battery life while the audible alarms providing the necessary information throughout the dive. Cressi Giotto Wrist Computer is made with a new RGBM algorithm based on the ‘Haldane’ model. This dive watch is integrated with features like safe decompression and measurement of multiple dives. Giotto’s diving watch provides all the important information from the time and depth to the need of decompression and ascent rate. All the intervals between every dive and the absorption and release of nitrogen is also constantly monitored by its advanced electronics. All of this information can be viewed on the large screen of the dive wrist computer through the ‘Priority Compartment Digit Display’ (PCD). This system makes it simple for you to get the necessary information from the computer, making certain that you have a clear understanding of the data along with high readability at any time during the dive. I found the Cressi Giotto to be the best all around dive computer, having plenty of features at bargain price. In my opinion this is the best dive computer for the money, and is our top pick. If you are looking for a more entry level dive computer, take a look at the Cressi Leonardo for about $100 less. The entry level Suunto ZOOP Watch Diving Computer is probably the best dive computer for beginners. It has all the features that you need in a dive computer while at the same time not overly complicated with a bunch of features the beginner or casual diver doesn’t want. The screen of the Suunto dive computer has a slightly smaller display than the Cressi Giotto but features super-bright phosphorescent LCD display giving it exception readability. Like any modern dive computer it is multi-mode versatile with its two dive modes Air and Nitrox. It can be programmed for Nitrox mixtures of 21% to 50% oxygen and can be adjusted for oxygen partial pressure of between 1.2 and 1.6 bar. It offers flexible decompression using the the RGBM algorithm. Suunto Dive Watch offers optional software and a data transfer kit that is cheaper than other manufacturers of dive computers. It allows you to download all of your dive data for further analysis and to maintain a detailed logbook featuring graphical representation of all your dives plus locations of using GPS coordinates. Video: Overview of the Zuunto Dive Computer. In my opinion the Suunto Zoop is one of the best budget dive computers. It offers most of the features of more expensive dive computers in a simple to use watch that you won’t require you to spend hours trying to decipher the instruction manual! If you want to stick with Suunto but looking for something more advanced, check out the Suunto Novo D4i Dive Computer with air integration. First off the display is one of the best I have seen, at 2.2 inches, its big but not overly bulky so it doesn’t feel too clunky on your wrist. While it’s a standard LCD it uses something called EBTN technology so the display is “pixel-less” so its bright and easy to read. Naturally it’s designed for standard Air and Nitrox and DeepBlu has their own decompression algorithim based on the Bühlmann ZHL-16C model. If your using Nitrox, the settings are adjustable from Nitrox diving between 21% and 40%. Depending on your diving needs, you can use the Conservative, Normal or Progressive decompression algorithm. What really sets the COSMIQ+ apart from the crowd are the advanced features that allow you to track your dives and share them. The COSMIQ+ stores 25 dives in its memory but what I love is the ability to wirelessly sync the computer with your phone and with the Deepblu app easily upload your dives and look at all the data. It uses a built in rechargeable lithium-ion that charges using a standard USB connection and the cable clips on the COSMIQ+ with a magnetic connector. One of my biggest pet peeves with dive computers is the complexity of trying the change settings using one or two buttons, with the COSMIQ+ you can look at and change the settings with the mobile app making it much simpler. Good job Deepblu! 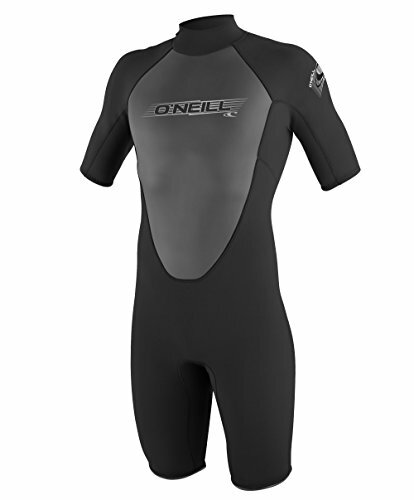 While I am not a freediver, if you are this the COSMIQ+ is an excellent choice. Overall this about as good as it gets for a dive computer that is less than $400! The Oceanic Geo 2.0 Air/Nitrox Computer Watch is an excellent mid-range watch style dive computer created with dual algorithms of the Pelagic DSAT or Pelagic Z+. This dive computer watch is the perfect choice when you are looking to upgrade your dive equipment or a beginner who doesn’t mind spending a bit more so they wont have to upgrade to a better computer in the future. The Oceanic dive computer is redesigned with a step back system which makes forward and backward navigation underwater easier for you with the help of intuitive and easy to use menus and settings. The Oceanic 2.0 has a redesigned display screen that shows clearly visible large digits while being compact at the same time. The backlight of the screen is quite powerful allowing you to see it when visibility is poor. The dive watch also contains an audible alarm along with a small LED flash light which actually came in handy on several occasions for me. The Oceanic is naturally 100% compatible with both air and Nitrox and allows switching between them with no restrictions. The Oceanic Geo 2.0 allows the transferring of data to your computer and has a capacity of 24 on-unit dive logs. Oceanic unfortunately did not include the USB transfer kit and it is an extra charge so be forewarned. My only gripe with the Oceanic Geo 2.0 dive watch is the instructions are unnecessarily complex. Overall its a very high end, capable dive computer and with all the features, it is in my opinion the best dive computer under $500. Shearwater Research is a Canadian based company that does nothing but make quality dive computers. They are focused primarily on creating dive computers for intermediate and advanced level scuba divers. The Shearwater Research Petrel Dive Computer is not what I would call a “small” dive computer like all the other watch size computers I have reviewed in this article. The Petrel has a full size 2.4 inch screen that allows you to see all major functions without having to scroll through several screens. You can see your depth, temperature or other pertinent information that watch size dive computers cannot display on one screen because they lack the screen real estate. Of course not all information is on the main screen, you can easily access more detailed information by tapping the buttons that are easily access, even with gloves on. Because of its larger size it does not use a watch strap, it uses 2 nylon straps that attach to your wrist with Velcro. The first time you put on the Petrel it will feel large, especially if you have used a smaller watch size dive computer in the past. It will seem awkward at first because its also thicker at about 1.3 inches. However, the awkwardness will quickly go away and you will grow comfortable with it. You will also get to love the large screen that displays all the info you need in an easy to read layout. All information you need is available without having to squint. The Shearwater Research Petrel Dive Computer is powered by one standard size AA battery that provides 35 hours of dive time. If you use a SAFT LS14500 lithium you can get over 100 hours. Personally I like being able to use a standard AA battery it just eliminates the need to worry about recharging and the AA battery can be found most anywhere. The battery life is displayed on the home screen so you have no excuse for a dead battery. The Shearwater Petrel works with all gases mixtures, from air to trimixes and even rebreathers. So no matter your diving ability the Petrel will definitely be able to handle it. Video: Overview of the Shearwater Research Petrel. Perhaps my favorite feature is the Time To Surface reading on the main screen. This tells you how many minutes it will take to surface if you started your ascent right now. This includes safety stops that are mandatory and even the optional safety stops. This is to me is a very useful function allowing you to plan how much longer you can stay down much better than your pressure gauge. The Petrel is a step up from most recreational dive computers and this is reflected in its price which is about double the cost. For that extra money you get all the functionality you will ever need no matter your diving abilities. 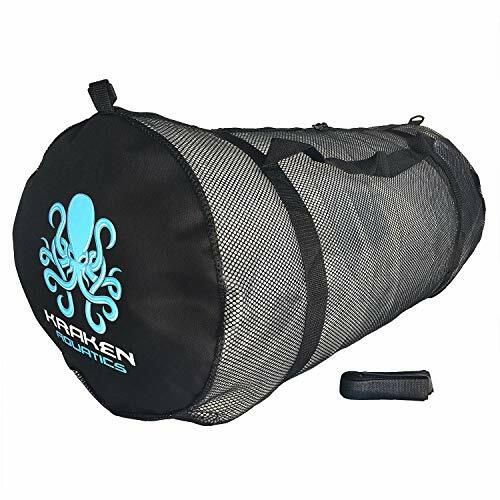 Even if you are a beginning recreational diver this will be a good investment as you will never outgrow it. The large full color screen gives you all necessary information at a glance and is the best dive computer for tech diving. If you are looking for the most advanced technical dive computer, the Aqua Lung i750T might be it! For all it does it still has a sleek design and maintains simplicity unlike many other dive computers. It has the latest in hoseless air integration with the included transmitter. Once you pair it, you will not have to do it again! The display uses the latest OLED technolgy for a bright, crisp screen that’s easily readable at depth or murky conditions. Want to see your dive log on your smart phone? The i750T has bluetooth connectivity and with Aqua Lung DiverLog app, add location, photos, video and other notes plus you can share it with friends and family! Naturally it has multiple gas capability and up to 3 Nitrox mixes and four operating modes of Air, Nitrox, Gauge, and Free Dive. The i750T has audible alarms for warnings so you don’t have to constantly keep an eye on the screen along with countdown timers. The 3 axis compass is perfect for navigation with a bearing lock and reciprocal heading, easily find where you need to go! To top it off it has user replaceable battery with a fast recharge time. In short the Aqua Lung i750T has everything you could ever want in an advanced dive computer. Mares is one of the better known makers of dive computers and have been making diving equipment since the 1940’s. Their line of dive computers is among the most complete available and the Smart Wrist is in my opinion one of their best. The Mares Smart Wrist is an entry level diving computer and does not have the features of many of the more advanced dive computers but that wasn’t the goal when they designed it. Mares philosophy is to do less but make sure you do it WELL. The display has been well designed to display the critical information you need at a glance, like depth, dive time, temperature. NDL (no-decompression limit) and an ascent rate indicator. With a push of a button another dive screen will show other information like you max depth, average depth, gas mixture, time and even your oxygen-toxicity level. The 2 buttons of the Mares Smart Dive Computer are easy to use and operate, even with gloves on. If you are ascending too quickly the Mares computer will let you know with an audible alarm and a SLOW on the screen that you can’t miss. The screen is very sharp and HD like, this is especially apparent in full sun conditions where the screen is still easily readable. The navigation of the menus was well thought out, the top button toggles the top row of data and the bottom button toggles the lower right information. Allowing you to keep the information that is important to you on the screen at all times while allowing you to see other pertinent information with the push of a button. Video: Overview of the Mares Smart Dive Computer. The Mares Smart Computer has compatibility for air and EAN (NITROX) from 21% to 99% and uses the RGBM Mares-Wienke algorithm. Once you surface you can adjust your nitrox settings and check out your dive log book. The Mares Smart Wrist Computer is best dive computer for the money that doesn’t have all the bells and whistles of some of the more advanced dive computers. It does have all the features you will need for recreational diving and does them very well. Originally scuba diving watches were just that, a wrist watch created for underwater diving. An analogue dive watch is a depth rated watch which mainly performs the function of keeping track of the total time of the dive. Some modern dive watches are created with helium valves, making the dive easier for those swimming down to immense watery depths for longer time periods. However, a strictly “dive watch” has been outdated with the advent of a wrist dive computer that shows real-time calculation of the decompression along with an automatic time function. Dive computers were originally created in 1960s – they have evolved considerable in the following decades in terms of accuracy and compactness. Today, professional divers don’t feel comfortable diving without a dive watch computer due to the functionality and countless benefits that come along the dive computers. While a bit old, dive tables are still a common way to calculate Nitrogen levels and determine how long one needs as surface interval and how long you can be under water. The tables do work well the prevent Decompression Sickness they do have limitations. The problem with the tables is they were designed for Navy use and not for recreational divers. The reason this is important is because recreational diving is not like a typical dive that a Navy person will do. The Navy diver will dive to a certain depth remain there for a time then surface. This is not what typical recreational diving is like, I know I dive down but then may bounce around different depths looking at various corral, fish etc. And if your wreck diving you will definitely be changing depths by quite a bit. There is no way a simple dive table can do this and this is why a scuba dive computer can be so helpful and increase our safety dramatically. A dive computer watch is right there on our wrist letting us know how long we have been down and how much time we have left. One other feature is that most diving computers allow for user profiles allowing different diver risk factors to be calculated. If you’re a scuba diver you probably already understand that Nitrogen is absorbed into the body under pressure. The rate of absorption is can vary depending on body weight and other factors. The greater the depth the more Nitrogen is absorbed into the body and te longer it takes for Nitrogen levels to decrease to a safe level before diving again. The algorithms that calculate the absorption or release of Nitrogen is calculated in half-life intervals in minutes. So when your body releases 50% of Nitrogen this is a half-life. The diving computer algorithm groups the body structures that have the same half-life. Normally the half times are expressed in minutes like this: 2.5, 5, 10, 20, 30, 40, 60 etc. As the starts his or her dive, the dive computer calculates the pressure and time of the dive and calculates the Nitrogen saturation to each body structure. The algorithm then use the programmed max ascent rate and percent of Nitrogen absorption that is considered safe. To then calculate the max dive time and surface interval the computer the amount of off-gassing when the diver returns to the surface. The process is complex but the dive computer takes all the complexity out of the dive and just allows the diver to enjoy the dive. Should You Buy or Rent A Scuba Diving Computer? Assuming you use a diving computer correctly, you will be a safer diver. The problem is that “correctly” part. Even some of the best scuba computers can be very complex to use and understand the functions. The computer features and how they display the data can vary greatly depending on the manufacturer and model. This is critical to your using the dive computer properly. While the dive shop may give you some instructions on how the use the computer, you will most likely not get all the benefits from it. If you are planning a dive trip on a live aboard, most of them require you to have your own, so you know how to safely use it. And because you are typically diving a lot, knowing your Nitrogen levels and surface intervals are critical. Even PADI and NAUI are going away from dive tables and recommending dive computers because they can assist the beginning diver dive safer. Dive computers can vary greatly in price from the bargain priced Suunto Zoop Dive Computer to the much more expensive Shearwater Research Perdix Dive Computer. The features, use and display will vary quite a bit between them. If you are the casual diver, you can probably purchase a Suunto Zoop for the cost of renting one for a few days. Another great reason for having your own dive computer is the ability to store and export your dive sites information, interval etc instead of using a log book that can be easily lost or ruined. Dive computers have been around for a while now and the technology is proven. You wuld be hard pressed to find an experienced diver without one. This category of dive computer is mostly preferred by the divers because it is easy to wear and use as compared to others. This dive computer looks just like a regular wrist watch but it actually allows divers to carry a mini computer on their wrist. A wrist-mounted dive computer uses wireless technology in order to examine the air consumption and the remaining pressure in the tank. The style of the wristwatch makes it easier for the divers to view the screen of the small computer while swimming deep in the ocean. 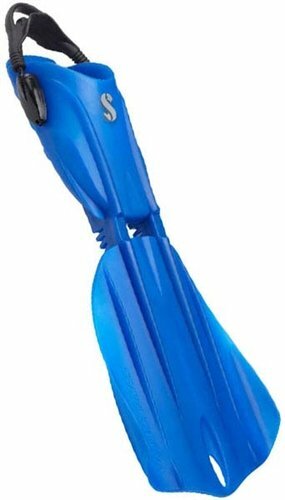 While these are definitely convenient, one of the biggest disadvantages is that they’re not directly connected to your dive equipment. In addition, they can be easily lost. The upside to not being attached to your equipment, is that they can typically be used as a depth gauge and timer while free diving. The smaller screen may also be difficult to see for some. Although dive watches and dive computers are two different things, still, people who are unaware about the actual difference often refer dive computers as dive watches. These typically have a pressure gauge, dive computer, and a compass inside of them. They connect directly to your regulator with a hose, and feature large displays that are easy to read. However, not every console is air-integrated. If you want to find the pressure readings, you’ll have to directly attach it to your tank with either a hose, or a hoseless transmitter. Another benefit of them attaching directly to your equipment, is that they’re much more difficult to lose. However, the batteries can wear down quickly as they’re in “active” mode all the time. While not a specific type of computer, wireless dive computers are going to be the more expensive of the two types. They use a transmitter which connects to the high-pressure port of your regulator first stage, sending the air info wirelessly to your computer. It is more convenient while diving, and also makes you a bit more streamlined. They’re also quite helpful if you’re someone who uses multiple tanks during one dive. A beginner dive computer contains the following features which makes it preferable for all beginner scuba divers. It has a display which is easily readable however the color of the display depends on the style of the dive computer. The display of a dive computer shows important information such as the total time of the dive, depth of the dive, no stop limits, ascent rate, no stop time remaining, emergency decompression, low battery warning and all the information regarding the previous dive. A standard dive computer is also enhanced to be air and nitrox compatible. The computer is easily programmable and user friendly. Dive watches and dive computers have made a very significant difference for divers because this equipment has made diving more safe. However choosing the right dive computer also plays a vital role in the learning process of a new diver. Therefore we have a few essential points that you should consider. First and foremost, you need to determine your level of experience in diving as that is the best step to begin the dive watch selection process. Analyzing the experience level is very important to select the right dive watch because beginners have different requirements as compared to advanced or professional divers. That is why what is best for one diver might be suitable for another. You can determine your diving level by analyzing a few points like the type of diving you currently do or plan to do in the near future and what kind of dive watch will connect well with your current diving equipment. Before moving forward on selecting a dive watch, you must consider your budget as well. Feel free to invest in a good dive watch because it will surely be worth the money in the long term. However, if you are someone who is venturing into professional diving just now, then you can go for the beginner level watches and computers that offer good durability and advanced features being economical at the same time. But your budget is not a problem then sky is the limit for you. The next important feature that must be considered while selecting a dive computer watch is the screen display. Any diver would never be able to gauge the depth, time and other necessary calculations under the water if the screen of the watch is not readable enough. So make sure that the dive watch must possess the feature of good readability even when the mask is on. So what makes the screen of a dive watch readable? Back lit display, wide angle color screen and bigger digits. There’s one more element you need to look for while selecting a dive watch if you plan to dive with nitrox. Look for nitrox integrated watches and see if the dive watch is compatible to operate with nitrox or not. A dive watch including nitrox helps the diver to choose the level of nitrox for diving. It also regulates the depth limit and the time of decompression according to the percentage of nitrox used during the dive. All the reviewed dive computers here have nitrox compatibility. Many advanced dive watches are created with the feature of transferring the dive data to your computer or the “cloud”. Divers can connect their computer watches with desktop of laptop computers and transfer all the data from their dives so that they can maintain a record of all their previous and future dives. The data transfer system that is incorporated in the dive watch saves the dives in the form of graphs which shows the depth of the dive and the total time of each dive. Not only the time and depth but most modern dive computers can also download the ascent rate data, the percentage of nitrogen and the amount of air consumed by the diver. Although analogue compasses have their own beneficial features but most all newer computers are integrated with digital compasses including the more inexpensive models. However adjusting the compass in the right manner is very important for smooth operation. Dive equipment manufacturers also recommend adjusting the compass every time it is exposed to any sort of magnet and also when the batteries are changed every time. All the highly advanced features incorporated in the new dive computers are prone to consuming more battery power. Many dive computers now come with rechargeable batteries that you plug into your USB charger. Now that you know the basic essentials of selecting a dive computer, please check out my scuba mask reviews and dive lights and dive knife reviews. Diving with alarms is very handy, and will make you feel more reassured if you’re a new diver. They work to keep you safe by setting off an alarm when you reach certain dive limits. You can have the alarm be visual, audible, or both to let you know you’re coming up too quickly, approaching your “no decompression limit”, and so on. Makes scuba diving easy by guiding you to the safest way to dive. Having your own diving computer that is configured with your personal preferences. You get reliable feedback while diving so are able to dive with complete confidence. Have a dive computer will allow you to fully maximize your time enjoying sights. Your dive computer will do all the complicated calculations allowing you to fully enjoy your underwater experience. 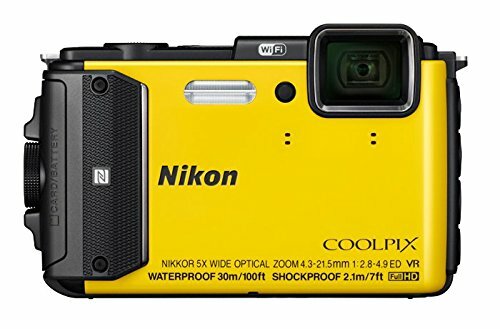 Provides you with an easy way to record diving adventures and share them. No more paper log book, your dive computer is your logbook, review your dives and share them with digital services like Suunto Movescount. Q: How do I keep up the maintenance on my dive computer? A: While they’re made to be durable and handle high pressure, you still want to take care of them the best you possibly can. This will not only potentially save you money, but time, and a headache. Make sure you’re always cleaning it off with fresh water after every dive. Clean metal contacts with a soft toothbrush to get rid of any hard deposits. Always check wrist bands before and after diving to make sure they’re in good shape. Store it in a dry, cool, well-ventilated area so as to keep the waterproof seals going strong. Finally, use only genuine branded batteries. Q: What should I do if my dive computer stops working? A: If you’re diving while it happens, and you’ve stayed within the recreational limit of 130 feet, make your way up to less than 60 feet. Once there, make sure to go slowly up at 30 feet per minute, and move to 15 feet. Once you get to this point, just stay there a while. Remember, we’re not worried about over-compressing. If your last reading said you were good, then this should be good. It’s a smart idea to use all available air before going up if your decompression status put you at risk, however. #1: Bring it on every dive. If you log bottom time without your computer, it could mess up your whole dive day. With that being said, try to keep your computer clipped onto your BC on the boat, and make sure to check for it before diving. #2: Read the manual. This is so you fully understand how your dive computer works. Even if you’ve used one that looks similar, it may not operate the same way. This is something you should figure out before you’re under the water! #3: Understand emergency decompression. If you stay too long in your no-decompression limit (NDL) by use of standard dive tables, you should have an extended safety stop, and make sure to stay out of the water for at least 24 hours. Oceanic – Founded in 1972 by Bob Hollis, Oceanic focuses solely on making scuba equipment. 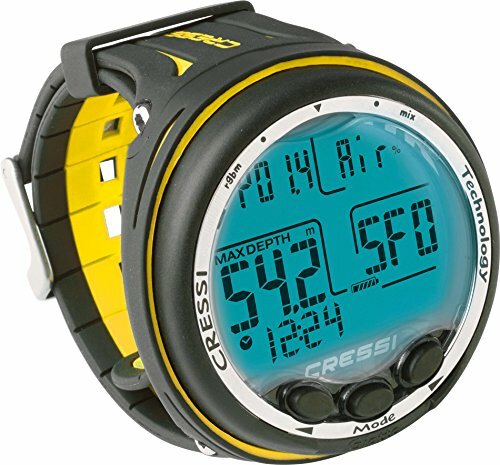 Cressi – Based in Italy, they have been making the finest scuba diving equipment for over 30 years. Suunto – A Finland based company, they only make diving computers and hiking watches. Shearwater Research – Based in Canada, they make nothing but dive computers, mainly for the technical diver. Mares – In 1949 Ludovico Mares started making scuba masks and now expanded to a complete line of scuba diving equipment. Also like to do some snorkeling? 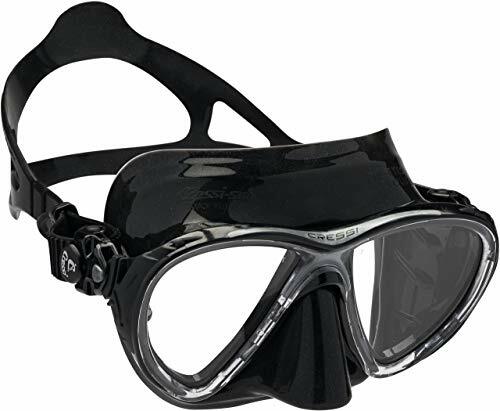 If so please see my guide to the best snorkel masks and fins. I hope this guide was helpful for finding the best dive computer to fit your needs. If you want to comment or recommend a computer I didn’t include, please use my contact form to get in touch. One of the sites listing the Giotto has it listed as “discontinued.” Is that true? I see it available on Amazon and Divers Supply. 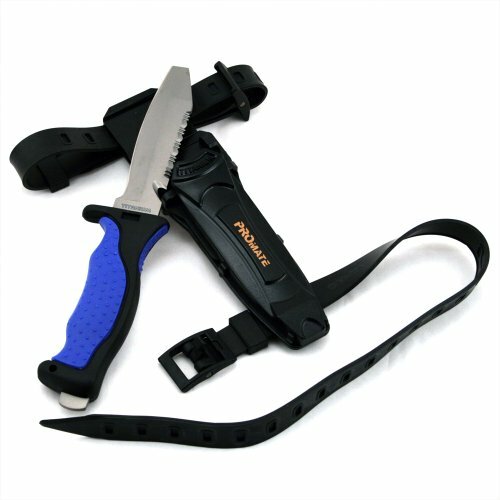 What are your thoughts on the Shearwater Perdix? Do you consider it equal to the Petrel 2? I’m planning on buying a Shearwater but I am having difficulty deciding between the two. Bottom line, there is not a huge difference between the two. The Perdix is slightly smaller with most of the features of the Petrel 2.